Planning a budget for a backpacking trip in Thailand can be a bit daunting to begin with. Here’s some rough numbers of various travel necessities to help you figure out your own budget so you can decide how much money to take to Thailand. I spent 18 months backpacking in South East Asia, and I now live in Bangkok, Thailand. I still travel frequently within the country so I’ve got a fairly good idea of the cost of things here. The following are some rough estimates for different costs you’re likely to encounter travelling in Thailand. I have deliberately over-budgeted on some items like accommodation to provide a margin for error. 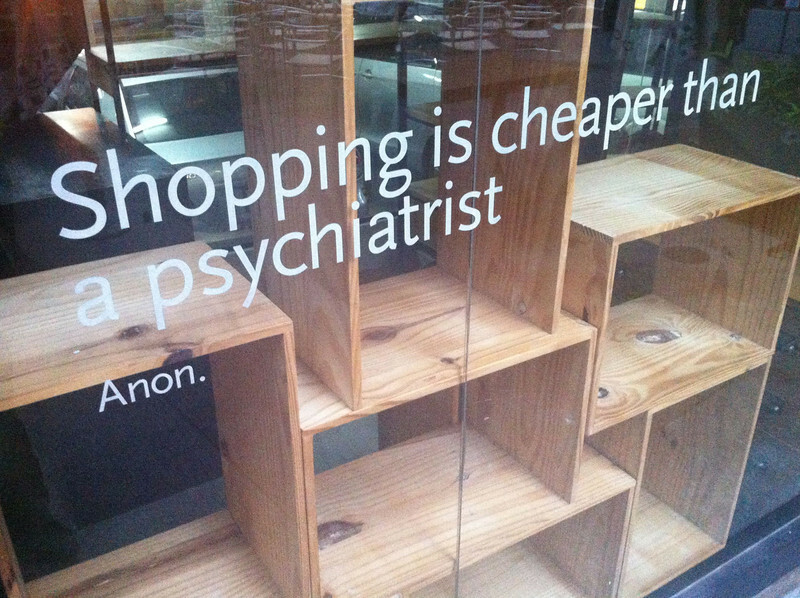 It’s important to have spare cash because you can’t always rely on getting a bargain. I’ve stated prices in Thai Baht and UK Pounds below. As a general rule of thumb, 1 UK Pound equals 45 baht and 1 US Dollar equals 35 Baht. Please check the currency converter to get an accurate idea of current currency exchange rates on prices quoted below. Note that exchange rates are quite volatile. You should also shop around for the cheapest flights to Thailand – Skyscanner compares lots of different airlines and their prices in one place so you can find the cheapest flight. You should check check with local travel agents too as there is still not one single, comprehensive flight comparison website that manages to cover all airlines and all available deals. 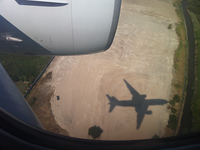 (See also my guide to finding cheap flights online). Don’t forget to budget for backpacker travel insurance and vaccinations as well as your flight ticket before you go. Check World Nomads for some of the most comprehensive and best priced travel insurance around. You can buy it direct online and also extend it as your travel plans change, also just by logging in online. World Nomads are recommended by Lonely Planet. See also my rundown of a packing list for Thailand which includes what vaccinations you need for Thailand. Remember to go to the doctor at least 6 weeks before your trip begins to get the necessary vaccinations. It’s obviously much cheaper to use a Thai SIM card for your phone than expensive roaming charges with your SIM from home. You can buy a Thai SIM card online with Klook to pick up on arrival at the airport, or buy one from any mobile shop, although best pick used to dealing with foreigners. 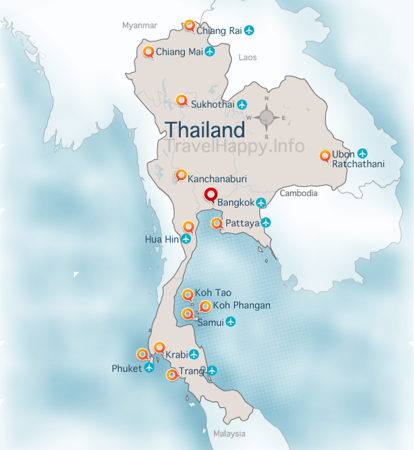 Travelhappy has several Thailand itineraries and Bangkok Itineraries, showing the practicalities of how to move around the country and see the most with the minimum of downtime between. There’s specifically itineraries for spending time in Bangkok, on Thailand’s awesome beaches, and up around the mountainous north. There’s also companion articles to this one – Cheap Travel In Thailand: A Quick Guide shows you how to travel super cheap in Thailand if you want to really travel on as little money as possible; and Travel Costs For Four Weeks Backpacking (In Style) Across Thailand, Cambodia and Vietnam is a step by step breakdown of the travel budget spent by my friends Brad and Cassie on their month long trip in Asia. They did things more comfortably so you can get a good sense of what some extra cash can get you. If you’re a bit daunted about the idea of travelling on your own to Thailand, or overwhelmed by the idea of planning all the logistics, consider booking a small group tour with a reputable operator like G Adventures or Intrepid Travel. It’s a great way to ease into travelling and you’ll meet like-minded people immediately. Plus it takes the worry out of planning your budget, as you book the trip and most of your costs are covered. If, on the other hand, you’re ready to take on more than Thailand in your trip, there’s also How Much Money Do I Need For Travelling In Vietnam, How Much Money Do I Need For Myanmar, How Much Money Do I Need For Laos and How Much Money Do I Need For Cambodia to help you figure out how much cash you’ll need while you’re travelling. If it’s your first time in Thailand, it is definitely a good idea to read up a little bit on the country with a Lonely Planet Thailand guide – this will also help you work out what there is to see and what you want to do. There’s also Travelhappy’s Quick Guide series to all the major destinations in Thailand which gives you an at-a-glance understanding of what a destination is about and what to expect. There’s the Travelhappy Bangkok Guide: 55 Tips To Help You The First Time You Travel To Thailand, a list of the main stories on this site which are full of practical advice about travelling in Thailand. If you are concerned about travelling alone, you might find Seven Reasons To Go Travelling Solo to be helpful. Food won’t be more than about £10 to 15 a day. Assume 200 Baht (£4) for breakfast and lunch if you want a single dish and some coffee and juice, and 500 baht (£10) for dinner, if you’re dining out in restaurants and having a drink with your meal. You can always get super cheap food from street vendors, like Pad Thai for around 30 baht (50 pence! ), and you can dine permanently on their delicious food if you want to be super budget conscious and don’t mind eating on the street. At the risk of sounding like your mum, you do need to ensure you are eating properly while travelling and not just always going for the cheapest but not necessarily healthiest option. Similarly, there are lots of supermarkets where you can buy bread etc if you want to make your own meals, although it’ll be difficult to store anything unless you have a fridge. Remember to drink LOTS of water – at least 3 litres a day. My rule of thumb is to budget 1000 Baht a day for accommodation in Thailand if you want somewhere clean, comfortable and with air-con. This is an average figure because hotel prices are not consistent across Thailand. It’s easy to find quality accommodation for less than 1000 Baht a night in Bangkok or Chiang Mai, but head to the popular tourist islands like Phuket, Koh Phi Phi and Koh Tao and getting decent digs for less than 1000 Baht is hard work due to high demand for limited rooms. Booking ahead for the more popular areas is recommended, especially during July/August and December/January as many hotels are simply full. I wrote a list of my favourite Bangkok Cheap Hotels too which will give you some pointers for cheaper guesthouses, especially around Khao San Road. For Thailand hotel bargains, you should check Booking.com’s regularly updated Thailand Hotel Special Offers pages – here you’ll find Thailand hotels that have slashed their rates, or are offering free nights or freebies like a free massage or free taxi transfer to try and get your custom. See the Special Offer pages for Khao San Road hotels, Bangkok Hotel Bargains, Krabi Hotel Special Offers and Koh Samui Hotel Offers – you can choose other Thailand destinations once on the page too. Also check Agoda’s Thailand hotel listings too which give you a complete range of hotels from humble guesthouses to deluxe penthouse suites. The listings are easy to browse by price and location. Most people come to Thailand to party, so it’s worth bearing in mind going out on the town can take up a bit of your budget. Beer and cigarettes are very cheap from any 7-11 convenience store – around 50 baht (£1) for a big bottle of beer and 100 baht for a pack of cigarettes. In bars, small bottled beers are around 70 baht (£1.40) and spirits around the same. Again, it depends where you go – it’s always cheap in the pavement bars, but if you go to the more ritzy places like the Bangkok Millennium Hilton, you can expect to pay 300 baht (£6) a cocktail. Budget for spending 1000 to 2000 Baht (£20 to £40) on drinks on a big night out. Travelling around Thailand itself is quite a chunky cost that a lot of people don’t anticipate, either in terms of time or money. 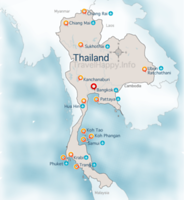 It’s a big country with large distances to cover if you want to go from Bangkok in the centre to Chiang Mai in the north and then the islands of Koh Tao and Koh Phangan and perhaps down to the South to Koh Phi Phi. Buses and trains are cheap and are usually best caught on overnight trips. A train from Bangkok to Chiang Mai is around 1000 baht depending on what class you choose. A long bus journey, e.g. Bangkok to Phuket, is around 800 baht. Estimating each long journey as 1000 Baht if you go overland is probably a good rule of thumb. To get out to the islands, like Koh Tao, you will find many travel agents on Khao San Road that offer all-in-one bus and ferry tickets – these also go for around 1000 baht. Airfares are cheap thanks to budget carriers like AirAsia.com and NokAir.com. One way flights to Chiang Mai and Phuket from Bangkok are around 2000 Baht including all taxes, which are usually more expensive than the flights themselves. There are also many special offers – check the airlines own sites and don’t forget to look on Skyscanner too – sometimes bargains pop up. Seeing the sights in much of Thailand is relatively inexpensive. Even a visit to the Grand Palace in Bangkok or Wat Po only costs a couple hundred baht admission. Excursions are more costly, and most day trips are around 1500 – 2000 Baht. e.g. seeing the Bridge over the River Kwai in Kanchanaburi, a day trip to the temples of Ayutthaya, kayaking in Krabi etc. You don’t need to plan doing many of these things very far in advance – booking a day or so ahead is usually fine. But you’ll need to have some money set aside in your budget all the same. If you want to learn to scuba dive, a PADI Open Water course on Koh Tao will cost around 10,000 Baht. You can also do it over in the Similan Islands on the west coast, but it’s more expensive as you spend 4 days on a liveaboard boat – a real adventure. The price is around 28,000 baht and includes all your food and accommodation on the liveaboard as well as your PADI course itself. Internet access is readily available in all the big cities in Thailand, but consistent free access is still hard to come by. On the islands you will have much slower access to the internet. The cost is usually 1 baht a minute on average. Quality of connection can differ wildly even in urban areas, so be prepared for that. Also avoid cafes used by Thai kids for online gaming, unless you like the sound of earsplitting digitised warfare as you type. If you need continuous internet, get a Thai sim card. You can order one online from Klook or buy one at any telecoms shop – there are a couple at the airport. Choose a shop in a mall that used to dealing with foreigners to avoid language issues. If you have an iPhone, iPad or Android smartphone that you want to use to access the internet, check email, use GPS on Google Maps etc, then that’s easy too. See my How To Get A Thai Sim Card For Your iPhone for complete details. One of the other things visitors to Thailand love to do is shop! There are endless opportunities for buying interesting stuff at bargain prices in Thailand, especially in Bangkok markets like Chatuchak, shopping malls like MBK and the ritzy high-society temples of consumerism like Siam Paragon and Emporium. Clothes, trinkets, ornaments – you name it, you can probably find it at the markets. You might want to put aside another £100 for spending on stuff and posting it home – unfortunately a lot of stuff can cost more to post than it does to buy. See the Travelhappy guides to Bangkok Markets and Bangkok Shopping Malls for more detailed info. Assuming your first stop is Bangkok, you will have no problem stocking up on brand name razor blades, tampons, suncream, shampoo etc along with over the counter pharmaceuticals like headaches tablets and anti allergy pills. 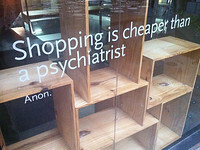 It’s usually cheaper to buy it in Bangkok than back home. Branches of Boots the Chemist and its US equivalent Watson’s can be found all over the city – there is a Boots shop on Khao San Road itself. The only thing you should ensure you do bring with you is any prescription medicines you require. Remember to check your passport is valid and has spare pages in it, and ensure you talk to your doctor about what jabs you need well ahead of time. Also make sure that you take out adequate travel insurance – this is boring but crucial. All these things can cost a fair bit of cash, so ensure you deal with these before you get into the nitty gritty of planning your trip. From the above, you should be able to work out a rough idea of how much money you’re going to need if you have a fairly good plan of what you want to do and where you want to go while you’re in Thailand. Of course, half the pleasure of backpacking is being flexible and not making too rigid plans – you never know who you might meet and what great places you may decide to stay longer within. Despite Thailand’s popularity with tourists and the growing trend of tourist destinations becoming more upmarket, the day to day cost of living is still extremely cheap by Western standards and there is no shortage of good value accommodation, food, transport and activities. You just have to look out for it, talk to other travellers, browse the web and ask questions on forums.